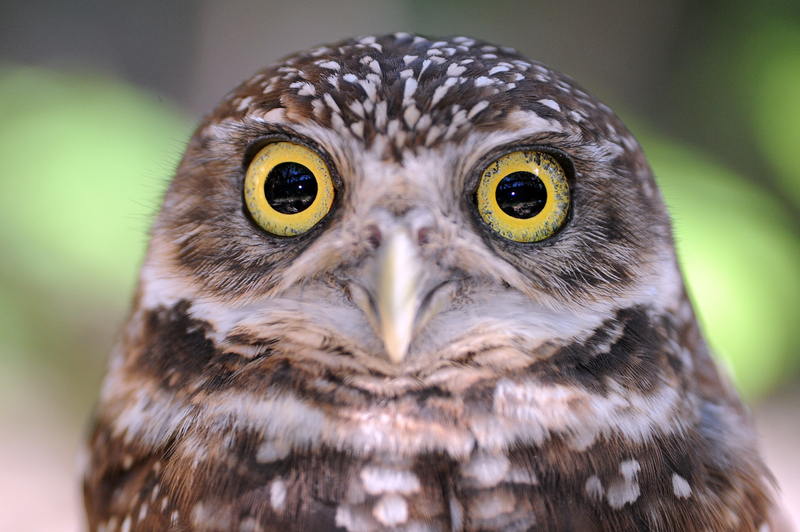 There is less than 5% of the original pine rockland habitat left in Florida. Pine rockland is a globally critically imperiled habitat with a rich diversity of unique flora and fauna. 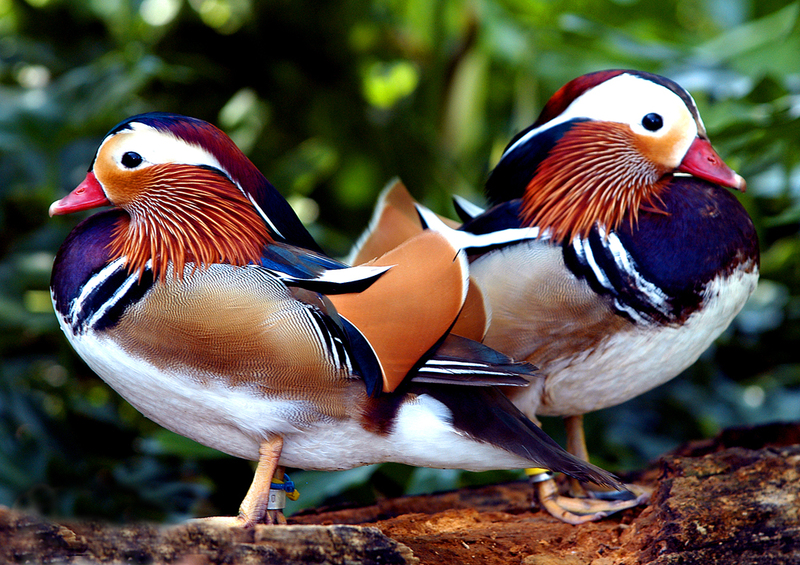 There are still new species being discovered frequently in the remaining fragments. Zoo Miami grounds contains part of the largest fragment of pine rockland left outside Everglades National Park, called the Richmond Tract. Although most of it has been designated to be protected from future development, it is under constant assault from invasive plant species. These invasive plants must be removed and the disturbed areas restored to help protect this valuable natural resource. 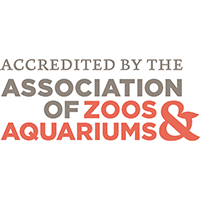 With a long list of federally and state protected species occurring on the property, some of which occur nowhere else in the world, it is Zoo Miami’s responsibility to ensure that this special habitat exists for future generations. Most of the area which is now the city of Miami was built on former pine rockland due to its higher elevation and well draining rocky substrate. Looking at a pine rockland forest is seeing what most of Miami actually looked like until a relatively short time ago. 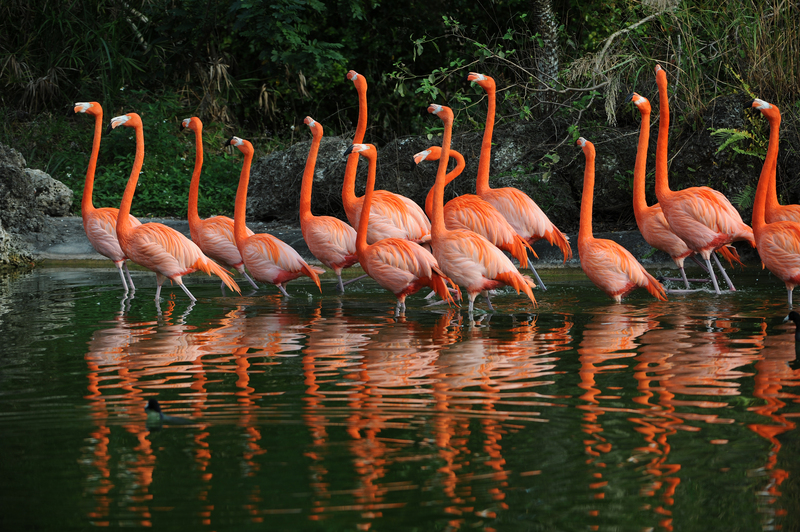 With pine rockland fragments in the keys and Caribbean being destroyed by sea level rise, salt water intrusion from hurricanes, fire suppression, and development, preserving the remaining area around Zoo Miami becomes even more important. 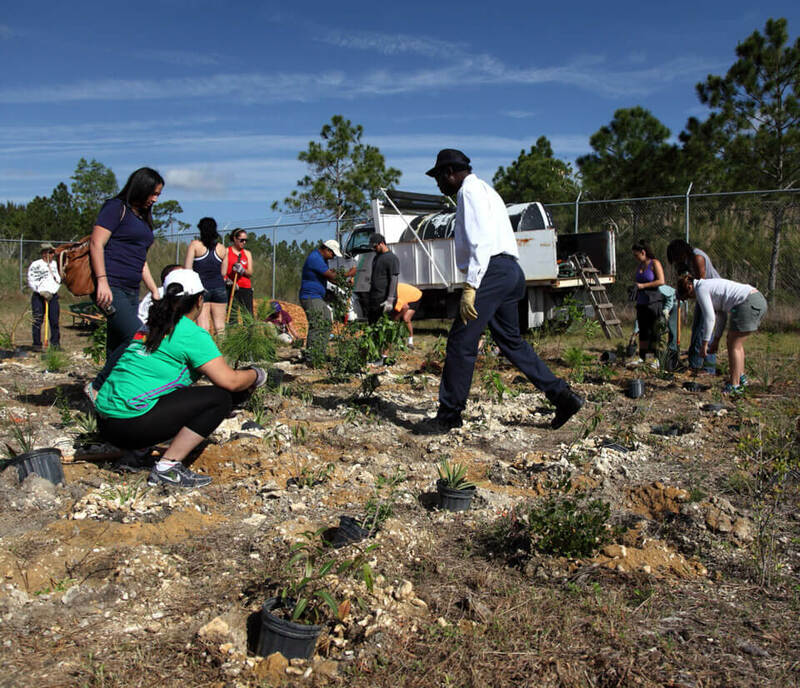 Zoo Miami staff and Miami-Dade County Natural Areas Management work together to protect the pine rockland from disturbance and help control the invasive plant species which threaten it. They must also work together to conduct regular prescribed burns since it is a highly fire dependent habitat. Several areas that had soil disturbance years ago are now home to invasive plants that spread and out compete the native plants. These areas serve as seed banks for the invasives to spread into the healthy pine rockland and must be reclaimed and replanted with native pine rockland plants to remove the threat. 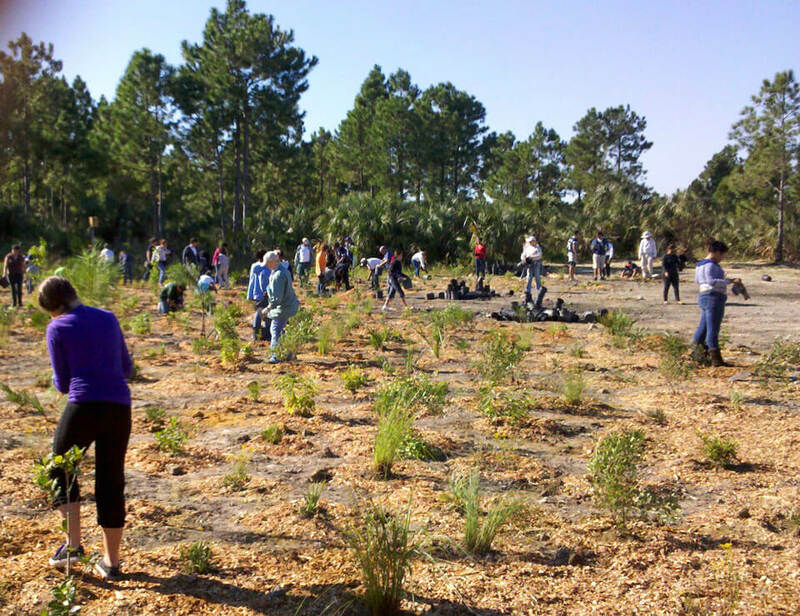 The actual plantings are often turned into public awareness and volunteer events to invest the local community in their preservation. 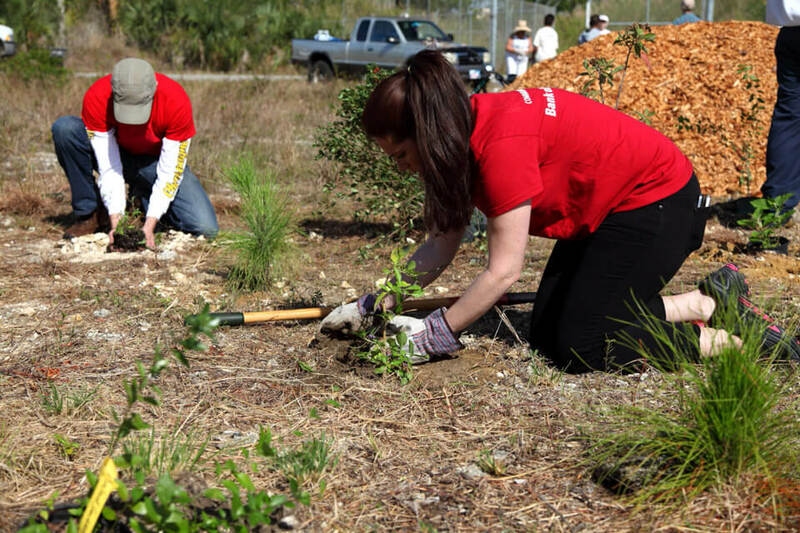 Constant maintenance is needed to keep the invasive plants at bay due to South Florida’s climate and the large number of new invading plants that are introduced each year into the region. Six months out from our first planting at the second restoration site, the area is filling in nicely and the wildlife is moving in. Black racers are frequently seen among the plants and pollinators like native bumblebees are making the site literally buzz in activity. A great surprise was the precense of five federally endangered Bartram's Hairstreak butterflies utilizing the pineland croton that the volunteers planted and you can see a clip of a female laying eggs below. 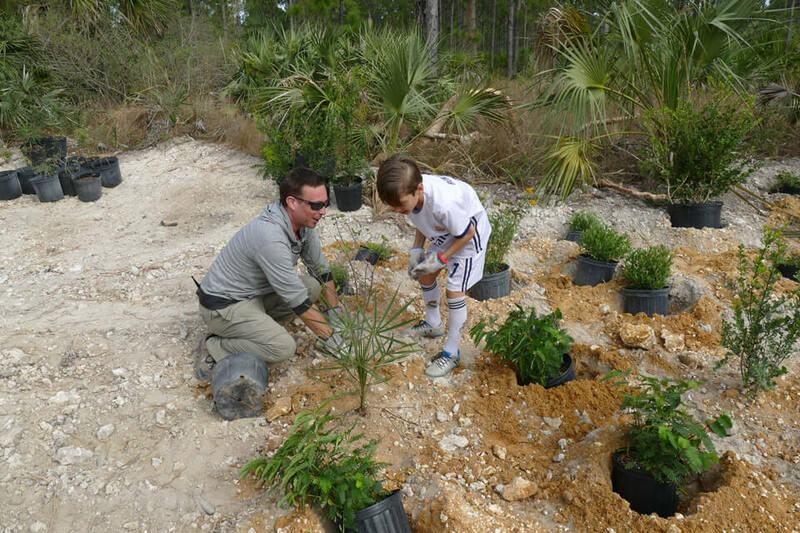 With funding from the Florida Native Plant Society’s Conservation Grant Program, Zoo Miami’s Conservation and Research Department and Miami-Dade County’s Natural Areas Management hosted a Pine Rocklands Restoration Planting in the pine rocklands surrounding Zoo Miami. 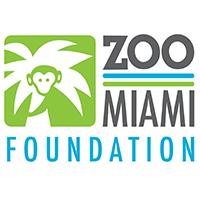 The restoration area was a 1/2-acre linear mound of introduced fill in the pine rocklands surrounding Zoo Miami that dated from the site's history as the Richmond Naval Air Base before the site was developed as a zoo (~1945). 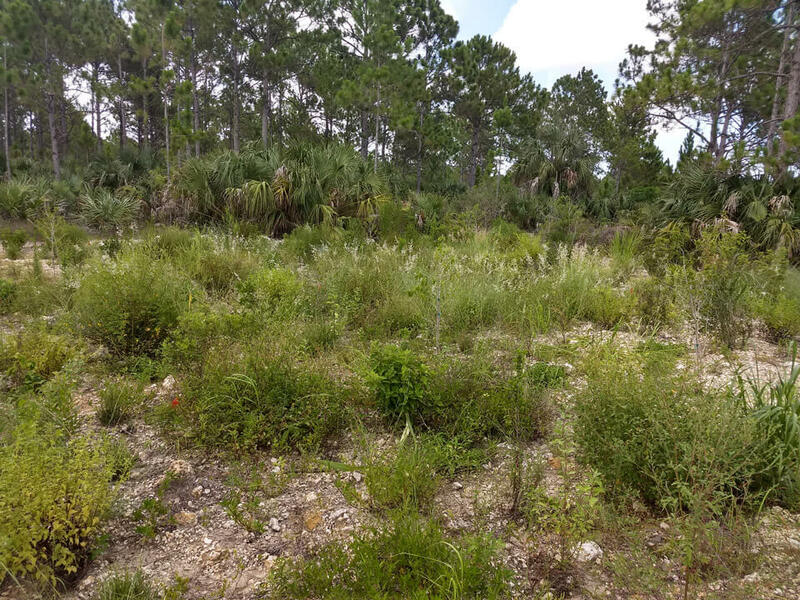 The disturbed substrate of this artificial fill pile provided ideal habitat for invasives - cane grass, ear-leaf acacia, and Brazilian pepper that had recently been treated through an FWC contractor. 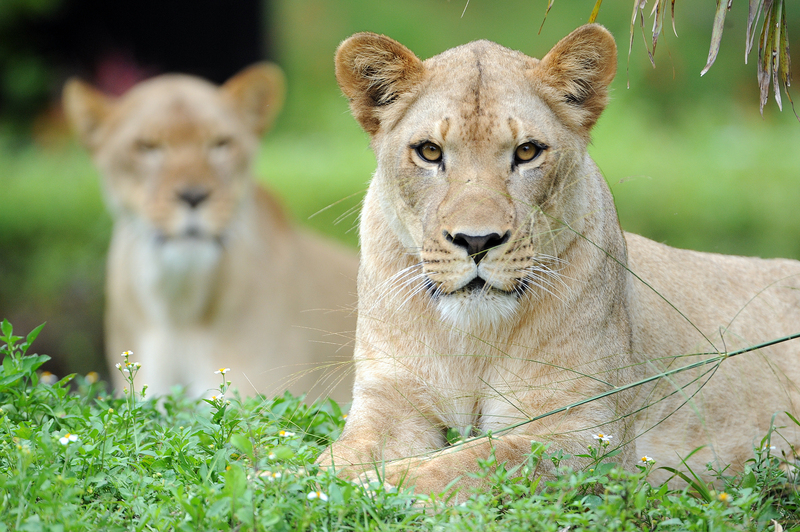 Excavation of the fill was a major task, requiring a crew from Zoo Miami to work on removal for nearly three weeks. The fill pile’s extent and impacts were more extensive in the area than estimated by visual surveys. This lead to a larger area in need of restoration. 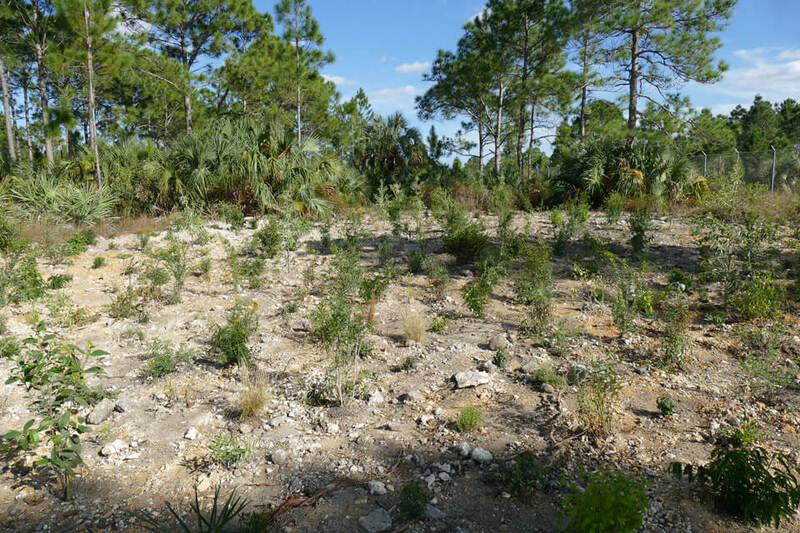 Upon removal of the introduced fill, the exposed natural sand and oolitic limestone was ideally suited for pine rockland plant reintroduction. 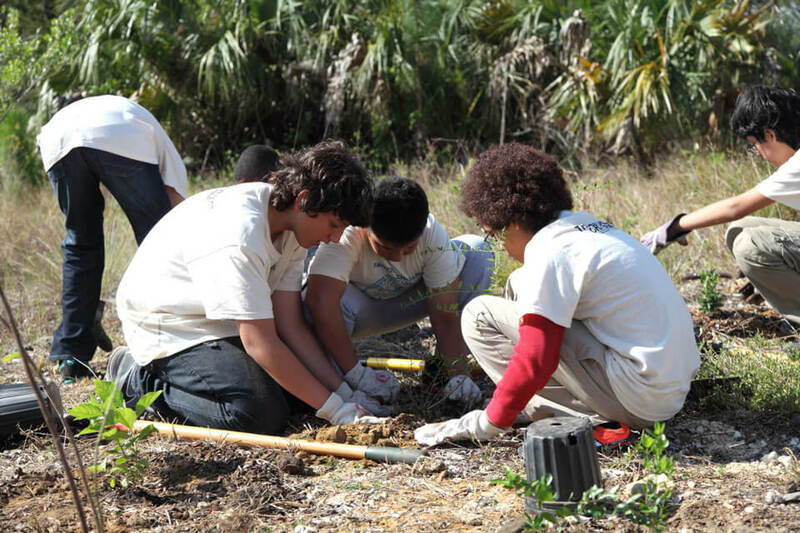 During a volunteer-driven planting on the 28th of January, 16 volunteers from Miami, Ft. Lauderdale, and the Florida Keys visited the zoo to help plant more than 700 native plants from 30 pine rockland species. 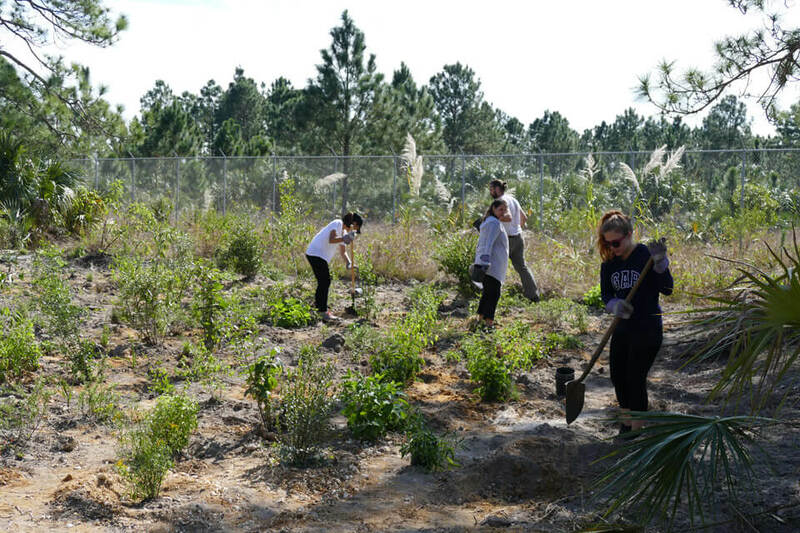 Volunteers planted the Federally Endangered Amorpha herbacea var. crenulata (Crenulate Leadplant), as well as state-endangered species Bourreria cassinifolia (Little Strongbark), Ernodea cokeri (Coker's Creeper), and Scutellaria havanensis (Havana Skullcap). 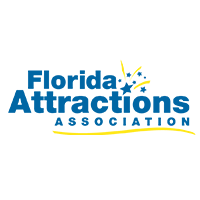 Florida-threatened species included Coccothrinax argentata (Silver Palm), Crossopetalum ilicifolium (Quailberry), Crossopetalum rhacoma (Maidenberry), Ilex krugiana (Krug's Holly), Mosiera longipes (Longstalked Stopper), and Tetrazygia bicolor (West Indian Lilac). 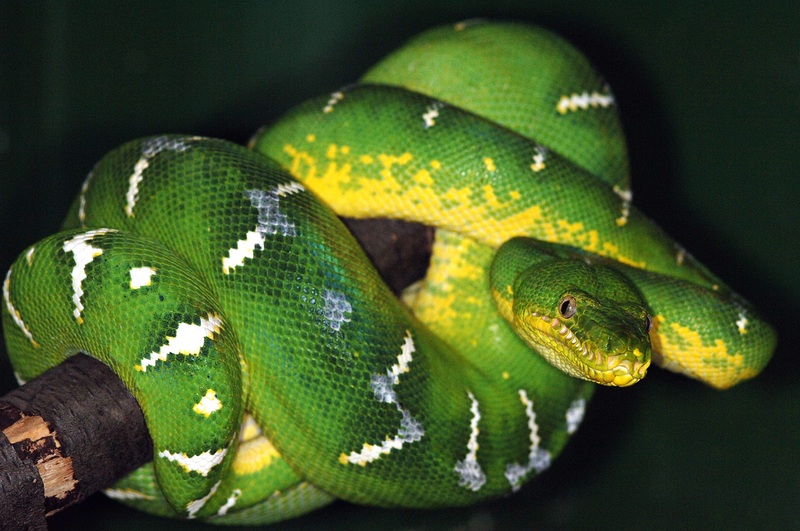 Many of these species are either assumed extirpated from the Zoo Miami pine rocklands. Restorations like this are the perfect opportunity to increase these imperiled species presence in their native range without impacting intact pine rockland areas. 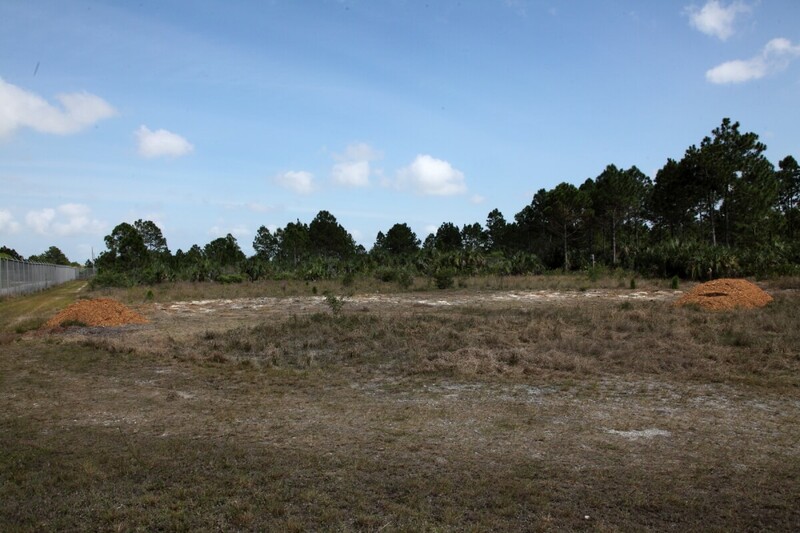 The Amorpha plantings at this new site are going to be adding a new restoration site planting comparison to a permitted long term reintroduction planting that Fairchild Tropical Botanic Gardens is conducting with the species in the adjacent Martinez pineland preserve. 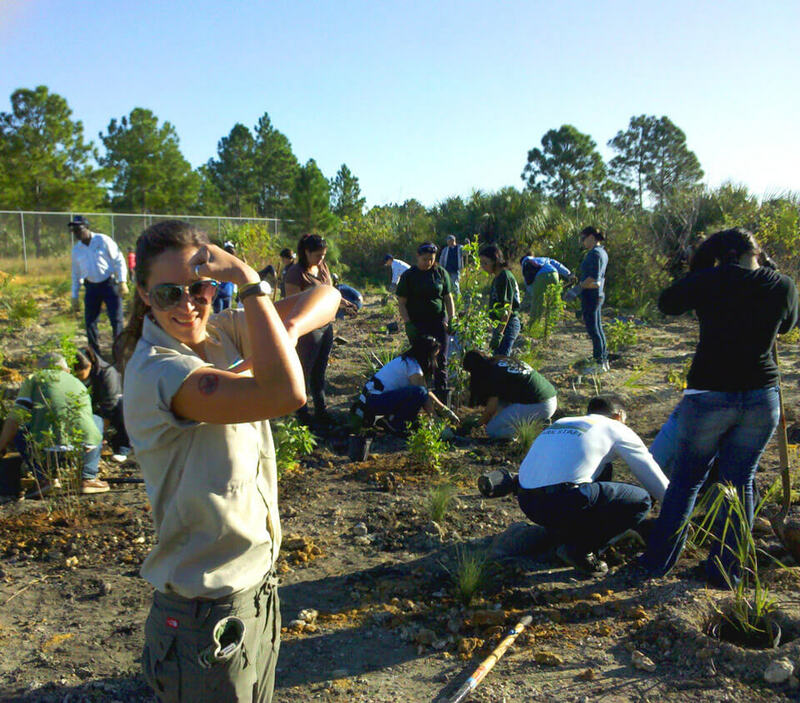 This represents the fourth pine rocklands restoration planting at Zoo Miami. 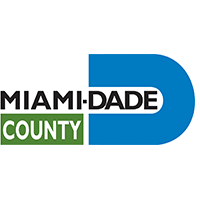 The area will be incorporated into Zoo Miami’s funding of Miami-Dade County’s Natural Areas Management annual invasive plant control and prescribed burn management programs. 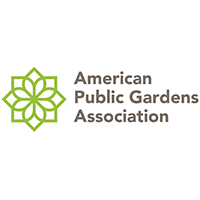 Plants funded with the gracious support of the Florida Native Plant Society covered approximately one third of the excavated site, so Zoo Miami and Miami-Dade Natural Areas Management look forward to further public planting events in the near future. 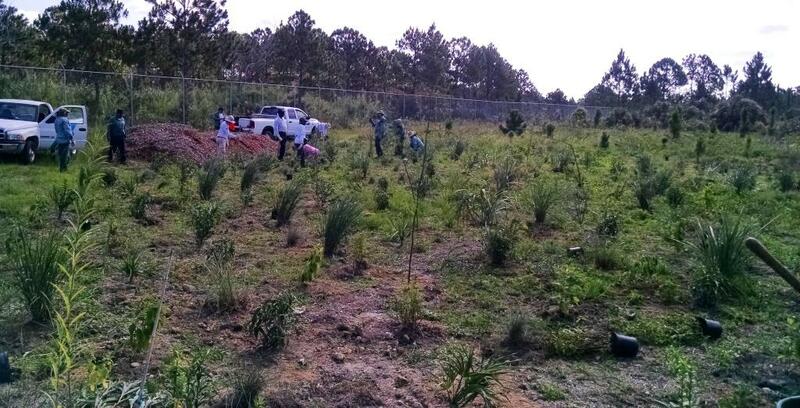 Restoration is done with over 700 plants in the ground! 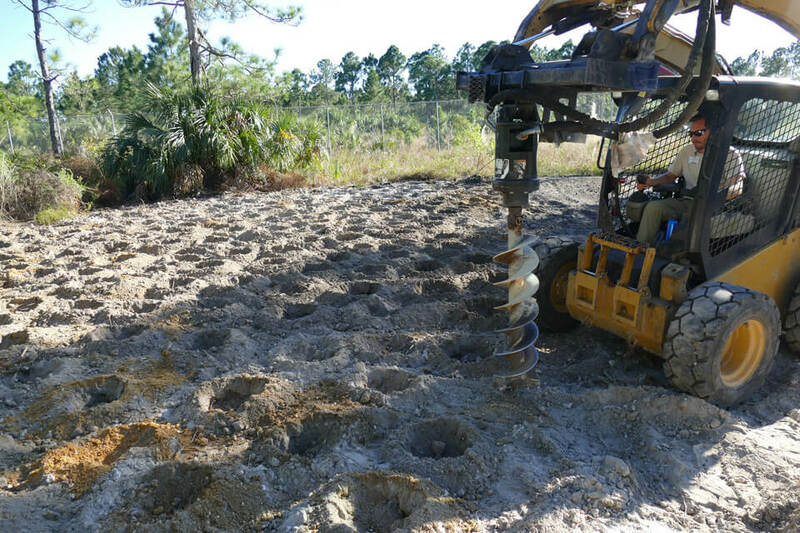 Volunteers and Miami-Dade County Natural Areas Management assisted Zoo Miami staff in putting several more hundred native pine rockland plants in the ground to complete our first pine rockland restoration site that was started back in 2011. 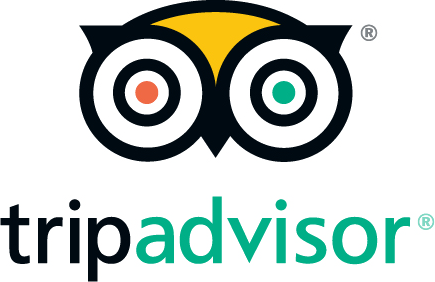 Hundreds of volunteers and many support organizations through the years have made this possible. 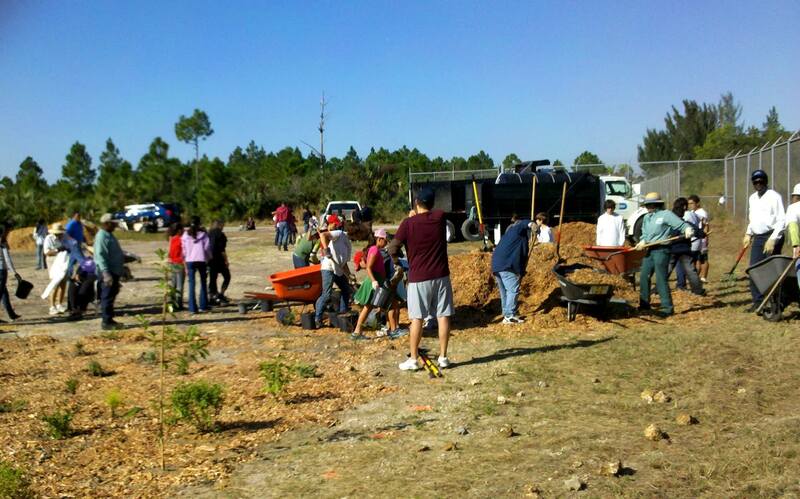 Zoo Miami, Florida International University, Tropical Audubon Society, Bank of America, Miami-Dade County Natural Areas Management, and West Miami Eco-Tec Academy teamed up to plant around 450 native pine rockland plants at a restoration site in the zoo’s pinelands. This site was previously heavily disturbed with mounds of dumped substrate and invasive plants. 44 dump truck loads of the material and the invasive plants were previously removed from the site to allow this planting to occur. 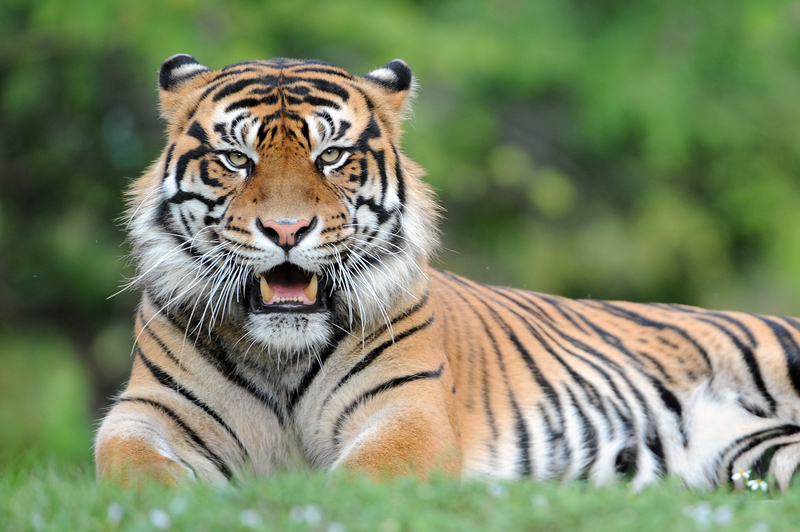 The efforts from these groups will hopefully allow this area to be reclaimed by hundreds of species, including dozens of state listed and at least 5 federally endangered species. The site has been prepped with hundreds of holes augered into the rock and ready for the volunteers to place the plants in the ground. 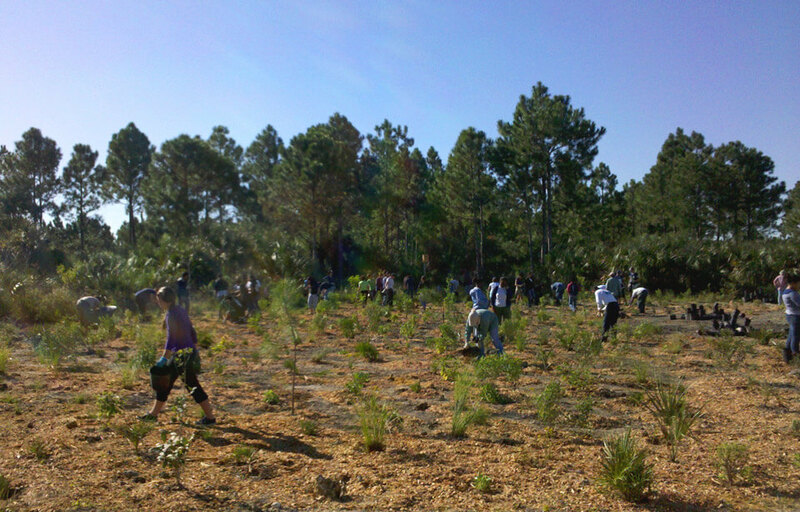 The first pine rockland restoration planting event at Zoo Miami. Miami-Dade County Natural Areas Management, the Environmentally Endangered Lands Program, Treemendous Miami, the Tropical Audubon Society and Zoo Miami staff teamed up with about a hundred public volunteers to place several hundred native pine rockland plants into the site. 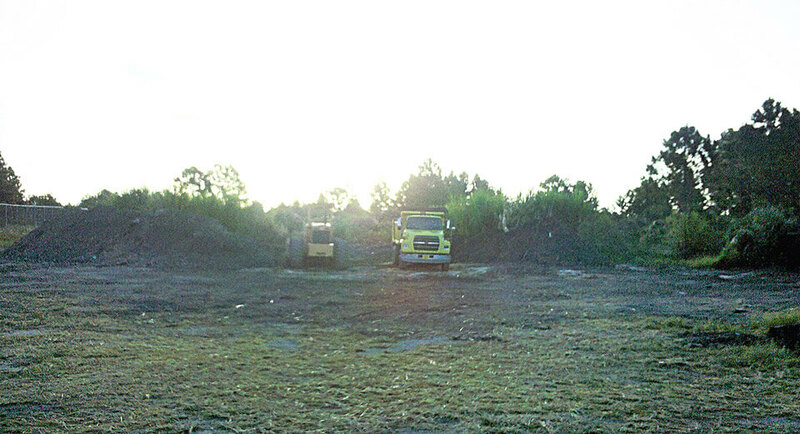 It took Miami-Dade County Natural Areas Management staff two weeks with two dump trucks and two front end loaders to clear a massive amount of fill and invasive plants from our first restoration site. This area had been a problem and harbored invasive plants that were damaging the surrounding pine rockland with a history dating back to the original construction of the Richmond Naval Air Base in the 1940's. 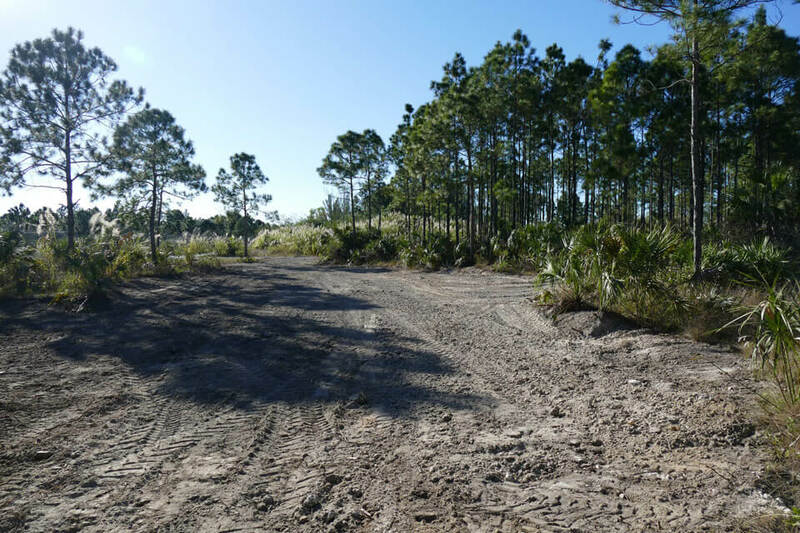 The crews cleared the area down to the original limestone cap rock and sandy soil to prep the site for a public planting and make it a functional habitat again for wildlife.